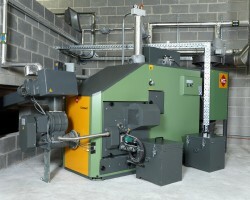 Read the latest news and articles about biomass from the leading biomass experts in Yorkshire - Denby Dale Energy. The cost and environmental advantages of wood-burning biomass boilers for single homes or commercial buildings can be substantial, but the benefits can be much greater when multiple properties use a district heating system. 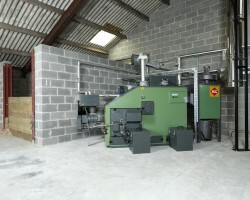 Biomass boilers are a cost-effective option for properties off the gas grid and for businesses with high energy usage for heating, making them ideal for farms in Yorkshire. 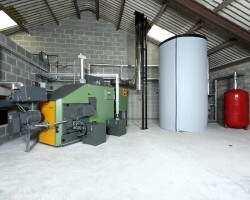 The cost and environmental benefits of biomass boilers have already seen them become a popular choice of energy for farms and hotels, and the advantages they offer are now becoming known in a wider range of commercial sectors. A poultry company has discovered that lower energy bills are not the only benefit that farmers can expect if they switch from gas to biomass heating. Installed and maintained throughout West Yorkshire. Copyright © 2019 Denby Dale Energy. All rights reserved.